Each day, I would see him. mom hid in the basement. tickets and self storage space. has invaded in broad fronts, of oxidation and decay. unable to abandon the ruins. as he sat there, in faded blue, watching. In my last post I said that I was going to return to working on a story that I had started before I came out. What follows is a possible opening. She walked down the snow covered sidewalk, the steady crunch of her footsteps loud in the still air. Snow was still falling; white flakes against a lead grey sky. She glanced at the houses she passed, noting the lit windows and wondering if anyone would think to look out and see her passing by? Maybe she was nothing more than a ghost and there was nothing for them to see. She came to the corner and turned left to walk up the rise that led the bridge over a little creek. She stopped to stare into the black water passing below. Her eyes drifted along with the sluggish current until the waterway swung right and disappeared behind a stand of trees. Between her and the trees lies a long expanse of unbroken snow glistening in the subdued light. It reminded her of a bed covered in a clean white comforter, not even a leaf marring its pristine surface. She remembers hearing of people who died in the snow. They simply went to sleep and never woke up again. She could do that. After years of living with my thoughts and emotions a constant swirling storm in my head, I never thought about what would happen if it ever stopped. I thought that I would have to live out my life with the chaos. Now, having reached a point in my life I never imagined existed, the storm has finally passed and I am left to deal with the quiet. I know, it would seem that I would welcome the end to all the conflict, all the erratic emotional swings, the endless noise that was the background to my life. The thing is, I am now dealing with how to fill the void. It’s strange to find myself at a loss for what to think about. I have many interests, I even have a few hobbies that I’ve managed to hang on to. It is to these that I am turning my attention. In addition to looking at ways to move forward in how to understand where I need to go on the journey. I love art, music, and reading. I love to draw and write. Through the last several months I have had to put these things on a back burner while I got my life put back together, now I am going to take all this calm time to rediscover them. I have said before that I have and do use these as a way to work things out for myself. I am going to begin writing again and am going back through many of my notes and story ideas. I have already been shocked at how emotionally charged many of these are. I began to reread a story I did for a writing contest that took place just before I came out. In reading just a few paragraphs of a rough draft, I again had the story firmly in mind… and I had tears running down my face. This was the last thing I worked on. It was into this that I was pouring all my thoughts, emotions, and energy when I didn’t have anything left. It might not be surprising to hear that the main character is named Kira. From the first moment I thought of her I knew that I would be using her to write about myself. I wanted her to be the conduit for what was in my heart and mind. I wanted her to be everything I couldn’t be. She was successful beyond my wildest dreams. Because writing that story was what started me on this journey I knew that I had to take the name Kira. It is right and fitting. I may have thought that I was creating a fictional character when I chose that name, but in truth it was who I am in my heart. Now, all these months and miles later I am going to return to this story. It will be with new understanding and a new vision. It will be knowing that in the words I write I am seeking to understand, not a figment of my imagination, but myself. I had planned a different post for today, but as so often happens in life, I have had to change those plans. The reason for this is because of something unexpected that happened. Over the last few days, ever since A asked me one simple question, “why are you trying to put yourself back into a box?”, part of me that I never knew was there realized what I had failed to see before. That I am human and humans don’t belong in boxes. Yes, people can live their entire lives in the boxes society has created and be perfectly happy, but once you realize the box is there and that you don’t really belong there, it becomes impossible. Today, I realized that I had finally come to accept this truth and now all the conflict, all the doubts, all the questions have faded away. In they’re place was a calm that I have never enjoyed so fully in my life. Sitting here writing this I know that I am me. Nothing more, nothing less and I am perfectly fine with that. I’ve read the stories of people who, for what ever reason, are able to go into public dressed. 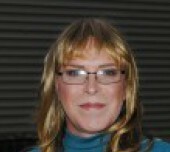 They may be Cross-dressers or other Trans who express themselves as women at least part of the time. I envy them. Of course, I would much rather step out of the door as a woman, not simply looking like a woman. Not that there is anything wrong with that, it just isn’t what I really want in my heart of hearts. The other side of that is that I like being able to step out he door as a man too. (I know, have my cake and eating it too). That’s just who I am. The interesting part of this is how I am finding my ways of thinking tend more toward one side of the spectrum than the other, but as of right now, I am not interested in going through SRS, I do not feel the need to make such a major alteration to my physical appearance. What brought this to mind was a documentary on television last night. Unfortunately I didn’t know it was on until the last half hour. The name of the show was: “She’s A Boy I Knew”. As expected, it brought up a whole host of questions from A. I answered them honestly, but I know that Transition is, and will remain, her greatest worry. It also got me to thinking honestly about my own feelings on transition. Going over it in my mind, I still feel that doing so would not address my issues. In fact it would do little but put me right back where I am now, but from the other side of the fence. I know people who wish to transition, one of them is a very good friend. I support her and everyone else for whom this is a necessary step. It just isn’t the right step for me. Not at this point. Might that change? Yes, but I cannot say if or when that decision might have to be made. I’ll just have to jump from that bridge when I get there. I knew from the beginning that the journey I was starting would be anything but easy. What I didn’t realize was that I would have to be on guard against myself. Against years of conditioning and expectations. When you grow up believing in one realty, no matter how impossible it may prove to be, it is extremely difficult to take on a new view point, to see things as they really are and not as you assumed they were. To borrow a phrase from a commercial; to “think outside the box”. This is even more true when all of your life you weren’t even aware that there was a box to think outside of. When I finally broke free, it was from a mental prison, made of bars of thought, of others vision of what they wanted me to be. It wasn’t until later, as I tried to understand what was happening, that I found the image of a box and it seemed as good a way to explain things as any other. The important thing is that I had been denied a part of myself. I had been living half a life. A miserable, self destructive half life that would have killed me sooner or later. In breaking free I became a whole person for the first time in my life. This has been a real shock, thoughts I had suppressed were now in the forefront of my mind. I looked at the world around me differently, and the way I interacted with people changed. I didn’t understand it and I desperately needed to. The problem I found was that I didn’t have a frame of reference to work from. I didn’t know, really, what “normal” people saw or thought in relation to how I was thinking. So I did the only thing I could, I went looking for information. That’s were I fell into my first trap. People tend to like things in neat little packages, each properly labeled in easy to read script. They tend to see things in those damn little boxes. A place for everything and everything in its place. I started to try to understand myself according to this ideal. I should be able to find a new box, one that was mine and not someone else’s. The thing is, people aren’t things to be put in boxes. We never really fit into something as confining as a box and trying to do so becomes impossible as soon as you know that the box is there. This has caused me some distress as I sought to do to myself what others had doe before me. Because someone told me to? Because society thinks I should? Once I realized that I had no answer, I had the answer. No one can tell me to get back into the box, To get back into my cell and be a good little girl. So now I have taken my first real step outside that cell, to finally think outside of the box. Memories are tricky little monsters. They can make you remember things as being much better than they were in real life. I give you a perfect example; classic television. For some reason I can’t remember now, I decided to track down some instrumental music, I think it was to have something to play in the background that wouldn’t distract me with annoying things like words.. I don’t know, it must have seemed like a good idea at the time. In the process of tracking down said music I happened across a band call “The Ventures”, a 60s surf rock band that had some pretty big hits back in the day. What was one of those hits? The theme song for the televisions show “Hawaii – Five – O”. Not the new version, that classic of the 70s. That got me to thinking about all the “great” shows of my youth…. Remember what I said about memories? Prime example. That lead to things like “Starsky & Hutch” a classic that ran from 1975 to 1979. Just one question, what were we thinking? I went and watched an episode, I thought my brain was going to melt. Then there was “The Rockford Files”. 1974-1980. This needs to be a lesson to all of us, just because you remember something as being great… don’t believe it. And what ever you do, in the name of all that is good and right, don’t go and buy the DVD to show your kids what “real” television was like when you were their age.